Kieran Intemann is a senior sports journalism major with an emphasis on print and a minor in communication studies from Fort Mill, South Carolina, a small town just south of Charlotte. Kieran is an avid sports fan and reporter and enjoys conversing about the topic. Aside from his passion of sports, he enjoys traveling, the outdoors and being around his friends and family. 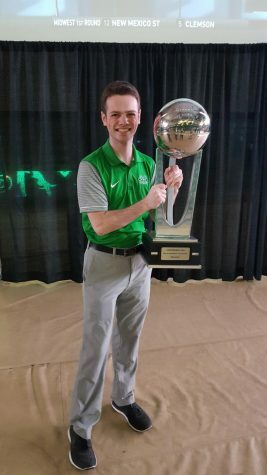 In addition to his role of assistant sports editor, Kieran is a student assistant in the sports information department at Marshall, where he serves as the primary media contact for the women’s tennis team. After graduating, Kieran aspires to earn a job in athletic communications, with a preference of staying in collegiate athletics and either remaining at Marshall, going to a larger school in a power five conference or being closer to home in the warm weather of the southeast.